Today I woke up with an incredible feeling running through the whole existence of myself. The experience of last night happening persisted; evoking sensation of power. She Spoke was a special, one-night art event designed to create connections between art, artist and audience. Six female artists came from all over the world to exhibit their fantastic pieces of work. Far away from any typical opening or vernissage. Far away from the usual. 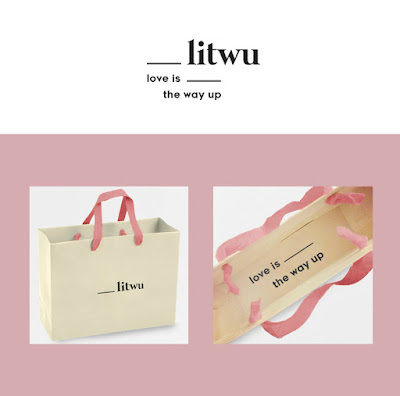 Some time ago I posted an article featuring my students' works for Litwu fashion brand. 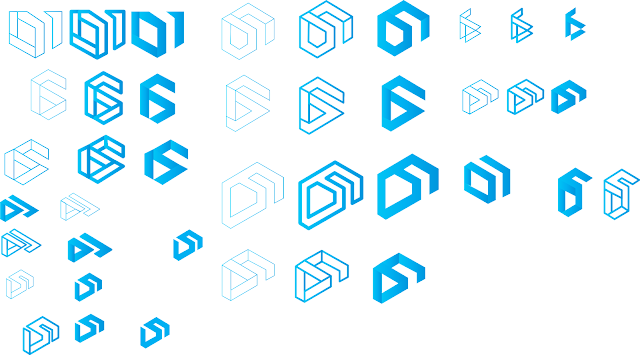 The company found several solutions attractive and functional, and they have chosen the work of Maggie Jandova as their new corporate identity. Here I bring an interview with the creators of three most liked designs. Congratulations to all! Q: Did you work on such complex corporate identity project before? Maggie: No, this was the first time, but I believe that we were all prepared for it; there were already two assignments connected to brand design in our first and third semester and actually these were the ones that I enjoyed the most. Almira: No, it was my first experience. I am still a student, who doesn't face real clients yet. Sometimes we had assignments to create our own brand and corporate identity for it, but working with client's brief feels very different. 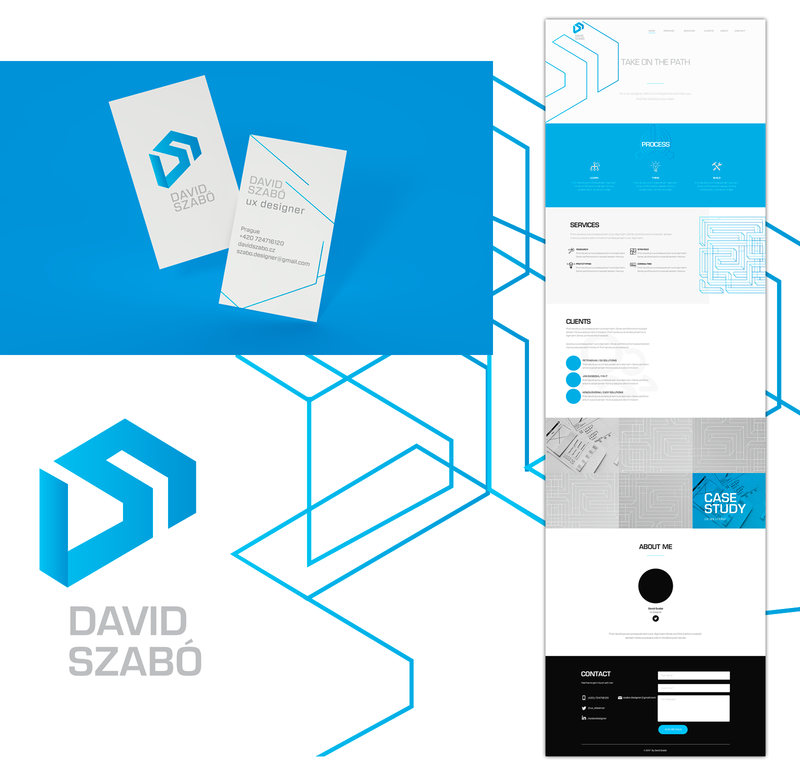 Iva: This was my first complex corporate identity project and I am happy I was able to make such a complex and original CID. I really like the simplicity and playfulness of it. Q: What was your process until you came to your final idea? Maggie: After research I made many sketches, which unfortunately didn’t look so good on the screen as I expected. I knew I want to play with abstract geometric shapes, but I didn’t know how to fit them in the concept, I didn’t want it to be just a random decision. We had to present three concepts at one point, but I wasn’t satisfied with the ones that I had so I had to come up with something else. I started to think about the slogan “love is the way up” and how to represent it and the final idea maybe came a bit from nowhere, but I thought that I would not describe love like that. From that I developed my concept in which the lines allow own interpretation of the slogan. Almira: My process started as usual with some research and sketching, but when I got the digital stage, I felt a bit lost. My sketches didn't look that great in digital world, so I was looking for new concepts and techniques. 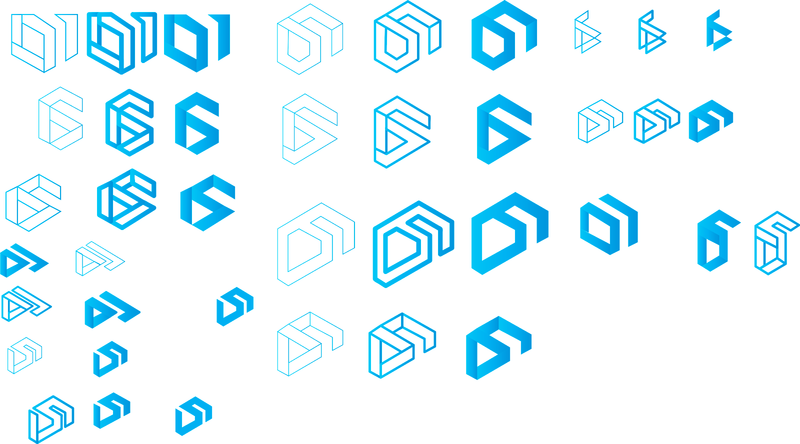 For my final idea initially, I planned to have my identity more dynamic and change shape of logo and/or typeface, but it didn't work out. Iva: First, as usual, I did really wide research and analysis of the client, their philosophy, values and desired visual identity. I really enjoyed the process itself and somehow I felt in love with it. Q: Why did you pick the final solution? What made you think it is the best one? Almira: It was the most elegant and classy one out of other options. Also it communicates good concept and has universal visual element: line. Iva: I had two concepts that I really liked and in my opinion, both could work very well. The final one was more original and different than everything I have had seen before and I think this was crucial for my decision. Q: What did you find the most difficult / challenging on this project and/or during your creative process? Maggie: For me the most difficult part is always creating the concepts and deciding on the final logo, because everything is than based on it. I am a perfectionist and critic of my own works so if I feel that the logo or concept is not good enough I can’t work with it; I would not enjoy it and I would not want to present myself with something like that. Almira: For me the most difficult part was to come out with nice concepts and execute them digitally. But after I found a final shape, everything became easy. Iva: Surprisingly I didn't experience any difficulties during the creative process but on the final stage was a really big challenge for me to fix all small technical details. Because of the complexity of the logo itself was really hard to specify each place strictly and to make it as balanced as possible. First difficulties I faced were with the woman body shape that I used for the logotype itself, the space between letters and the form of the logo. 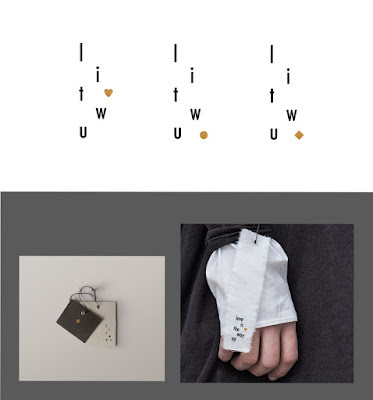 The second was the small golden shapes, that appear in a different place and have a different form so they change the logotype visually every time. This was hard, to make it balanced, simple, dynamic but at the same time not heavy for the viewer. Also, I used the abbreviation and the full name of the brand for my logo proposals and I was working on so many different logos at the same time which was also one complication. Q: And how did you solve it? Maggie: I came up with a solution which I love and I’m proud of. Almira: I was sketching, sketching and sketching. Experimentation and multiple tries are always the way to solve design problems. 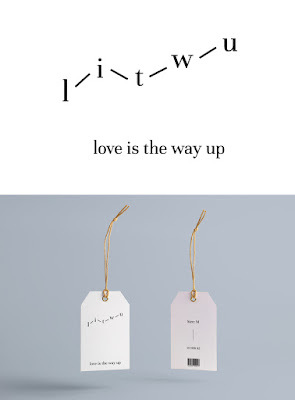 Iva: I just was looking for the way how to unify and simplify it when I worked on my brand book. 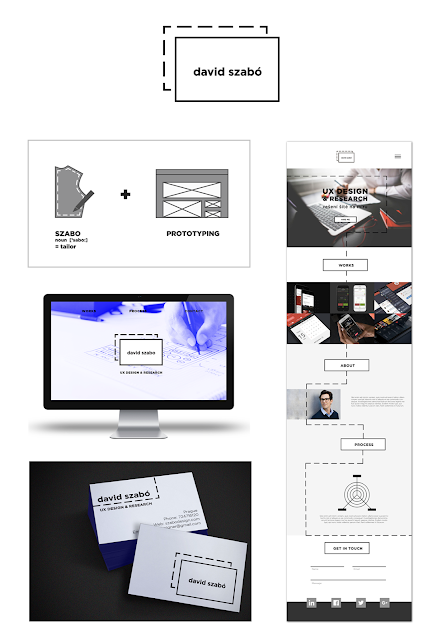 I still think I was not very successful on the final stage, the presentation of the logo itself on all applications and this is something that can be improved. Q: Did you follow work of other students? Did you consider their work as inspiration or rather a competition? Maggie: I am a competitive person so I always take my classmates as a competition even when we have projects which don’t involve clients, however I am always curious what they come up with. Almira: I really enjoy to look at others works, because we all have different ideas and tastes. I can't say that I take their works as inspiration or competition, but I think that sharing is an important part of creative process. I like to feel as a part of community and discuss project together. For me communication between designers is a key part of university life, because we all share skills and thoughts, which make us all grow in professional field. Iva: I always follow the work of my classmates and it helps me to see where I am. Also, I always want to hear my colleagues opinion, because it helps me to see my mistakes and to look at my work from a different point of view. I always follow their work and process and use it as inspiration. Q: Was a good grade the only motivation for you in this project? Maggie: Rather than the grade my motivation was to create a beautiful and functional design, which would suit the client and which both they and I will enjoy and love. Almira: Not going to lie, I am a very competitive person. Also, I am a perfectionist, so I don't allow myself to deliver work on a low level. I can't say that a grade is my main goal, but it's a good reward after weeks of hard work. Iva: No. Maybe its not good to say this but in general, I don't care that much about grades. I really enjoy the process itself, and I appreciate so much the objective and critical feedback we received from out tutor because this is the only way how I can get better. My motivation was big and I had such a perfect symbiosis with Litwu from the beginning. Maggie: I believe that the structure was appropriate to the project. Almira: I would say, I want to have more opportunities to look into others works and discuss in round table. Personal feedback is important, but few whole group discussions will be helpful as well. Iva: In general, I think the corporate identity class is very well structured and I did not face problems with the time that was dedicated to the projects in general. As I already mentioned I really like the way how we discussed our work and received feedback. Also in my opinion feedback was always very objective, honest and helpful. Q: Is there anything you would improve or change on your work, having now couple of months distance from it? Maggie: Only thing I would probably change would be the secondary colours, which I need to discuss further with the client. Almira: For some reason, when I look at my logo, it feels a bit imbalanced, but I can't say how to change it, without ruining my concept. Also, I wish I had chance to plan photoshoot according to my graphic design style and make my own pictures of the brand in the style. We had some limitations, because photos were already provided, but if not I would think about guidelines for photoshoot and maybe implement line as a physical object on a stage. 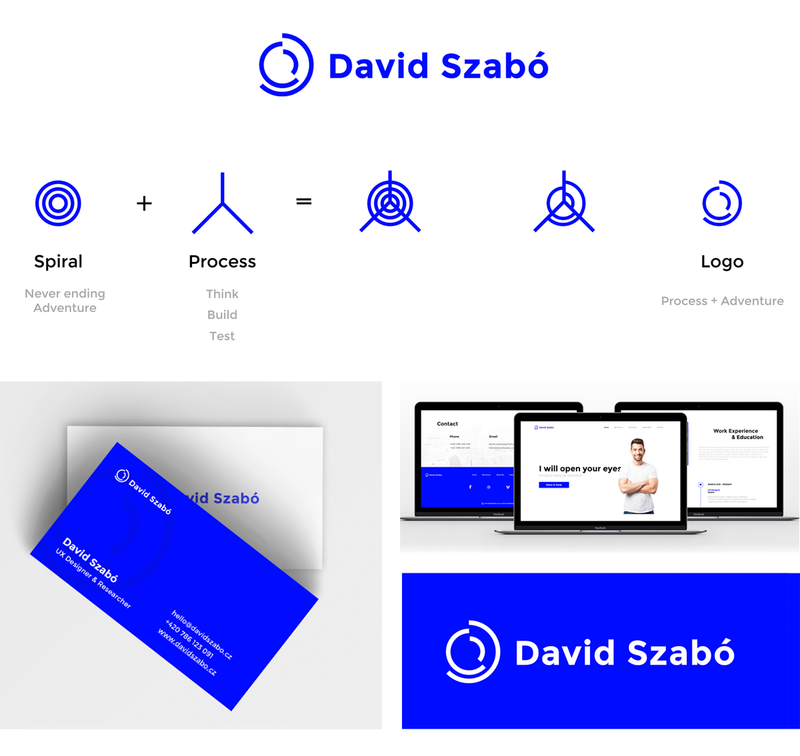 Iva: I would definitely work a bit more on my applications and I am sure I can represent my logo in a more professional way. I think this was my weak part. Also, there is always space for improvement, I know that I can make it better in terms of small, very small details on the logo itself as well. Q: Maggie, as a winner, are you going to further cooperate with the client? Maggie: I will and I am really excited that they chose my design to represent them.